OPPOSITION MDC Alliance leader Nelson Chamisa (pictured) yesterday rejected the “sham” ballot papers produced for the July 30 elections and immediately dispatched his emissaries on a regional diplomatic offensive to pile pressure on the Zimbabwe Electoral Commission (Zec) to produce a new set of ballot papers in the presence of all key stakeholders. Addressing journalists and diplomats at the party headquarters, Chamisa declared that elections would not proceed before opposition demands had been addressed. “It is clear that we have an election process stalemate arising out of the ballot paper scandal, the sham ballot and the voters’ roll inadequacies and omissions,” he said. Chamisa said the MDC Alliance was now engaging in a diplomatic offensive over the issue. “We will be dispatching special envoys in the mould of our alliance principals and senior MDC-T party members with messages to Sadc, [African Union] AU and the international community,” he said. Chamisa said the current logjam which allegedly favoured Zanu PF and President Emmerson Mnangagwa, in the political playing field, needed the intervention of external forces. “We, therefore, call upon Sadc, the AU and the international community to intervene and save a collapsing process and abate an imminent legitimacy crisis,” he said. But, Zanu PF legal affairs secretary, Paul Mangwana said if Chamisa and the MDC Alliance had problems with the electoral system, they should approach the Electoral Court for recourse. “They can’t come and talk to another player. We are also players in this election and we are playing well,” Mangwana said. On allegations that Zanu PF was conniving with Zec to give the ruling party an unfair advantage over other parties, Mangwana challenged the opposition to prove the allegations. “They should prove it, he who alleges should prove, but they should know that we are ready for them,” he said. Zec chairperson Justice Priscilla Chigumba early this week accused Chamisa of trying to tamper with the electoral management body’s independence and usurping its administrative roles by demanding consensus on the ballot paper designs and printing. Chigumba on Monday declared that she would not bow down to Chamisa’s demands. With the US having already issued a travel alert on Zimbabwe citing possible civil unrest ahead of elections to be held on July 30, Chamisa upped the ante, warning of civil unrest. “It is for Mnangagwa’s advantage to have a stable society. There will not be any stability and legitimacy if we do not have a free and fair election. We are in circumstances of instability already because there is no agreement on the process. 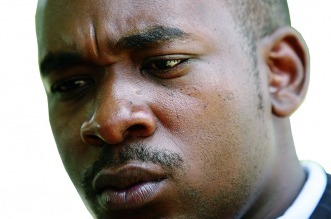 We are saying it will continue if we hold a sham election,” Chamisa said. Zec deputy chairperson Emmanuel Magade told NewsDay there was no turning back on their decision to print ballot papers at government institutions. Fidelity Printers will be printing ballot papers for legislative and presidential candidates while Printflow will print for local government candidates. “Section 239 of the Constitution makes it clear that it is the prerogative of Zec to run elections, including registering voters, preparation of the voters’ roll and printing of ballot papers,” Magade said. He said fears that Zec might connive with Zanu PF to rig elections were far-fetched and untrue. “I refute it, that is completely untrue. Its trillion percent false,” Magade said.